Sunday 31 March 2019, 3pm, then either 2pm or 3.3opm thereafter. (No class Easter weekend). Sunday 12 May 2019, 3pm, then 3.3opm thereafter. (No class Queen’s Birthday weekend). 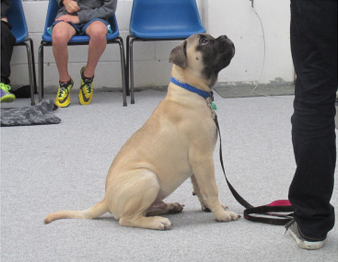 A five-week group class for the older puppy offering age-specific training, positive socialisation experiences and qualified development advice. Introduces loose lead walking, recalls, wait and stay, basic commands and includes off-lead interaction for your rapidly growing puppy. Class size limited for more individual attention and suitable for puppies under 20 weeks of age at class start. Family involvement encouraged.